Most people think they are the same. Below is an Xray of the same patient. 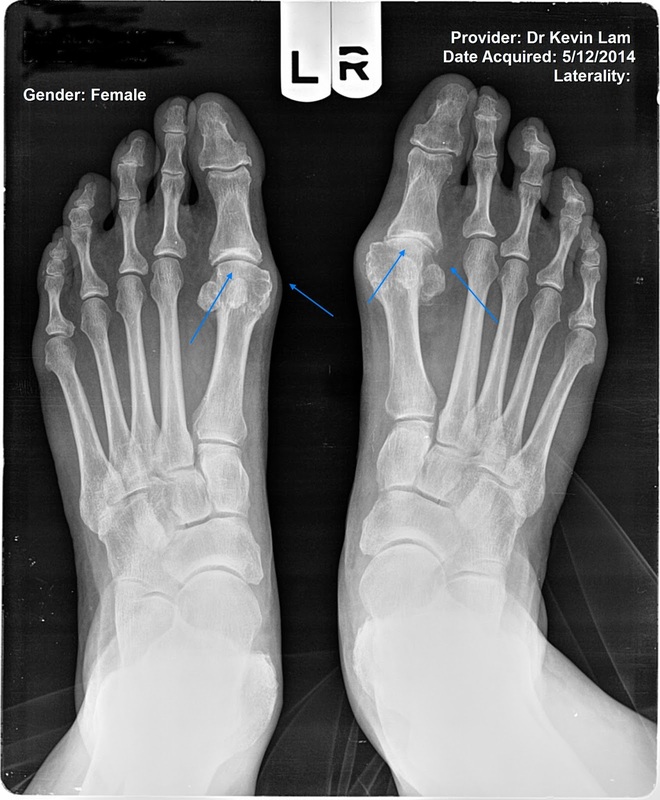 One on the left is a bunion, note the joint space present in the big toe joint as shown by the arrows. On the right, you will notice no joint space. As you can see, visiting a podiatrist is very important to figure out the difference. On the outside they both look the same with the bump on the outside of the foot. Xrays will show the difference and help to guide treatment options. For true bunions visit my site about the scarless bunionectomy. Arthritic joints if not angulated like in this picture, a joint implant may be useful. But severe angulations like this will require fusion of the toe for best results.